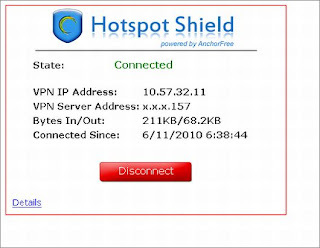 ProXPN is a free VPN software that creates a secure VPN connection between the internet and your PC under a highly secured environment. With secure browsing software ProXPN you can easily hide your online activity and identity. 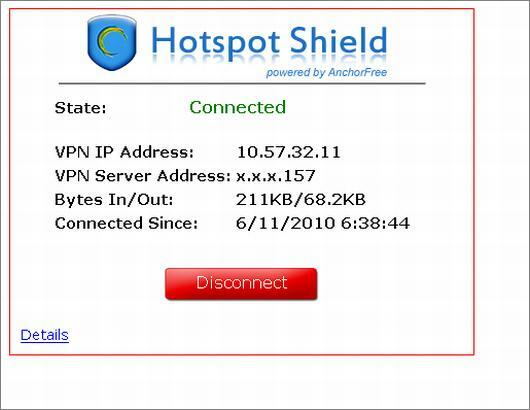 It also helps you to surf blocked websites by hiding the real IP address. Create a ProXPN account, download, install and run the software, then you can connect the VPN service with your username and password. Free accounts are rate-limited to 1000 kbps, and do not include PPTP VPN access. This program is developed by a company that has various servers in the United States, and basically offers the connection to a VPN (Virtual Private Net) by means of which all the users connected will exit the VPN through their servers. This means that even if you are connected in your own country, your connection will indicate that your are in USA. 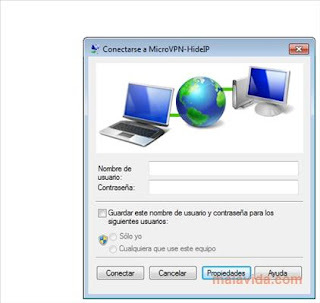 MicroVPN offers you various American IPs, protection by means of 168-bit L2TP/IPsec encryption, and various other protection elements that joined to the ease with which the software connects and how easy it is to configure, make MicroVPN one of the programs that changes our IP in the easiest way. Free VPN software of Loki Network Project, it is workable for Windows computer only, but offers unlimited data traffic with a 30-minute connection limit per time. You just need to download and install the software, then run and connect it, no registration needed, but sometimes it maybe fail to connect the VPN server, and the speed is a little slow. Just download and install the software, then you can run and connect the VPN service. There will be ads on the top of the webpages you visit.